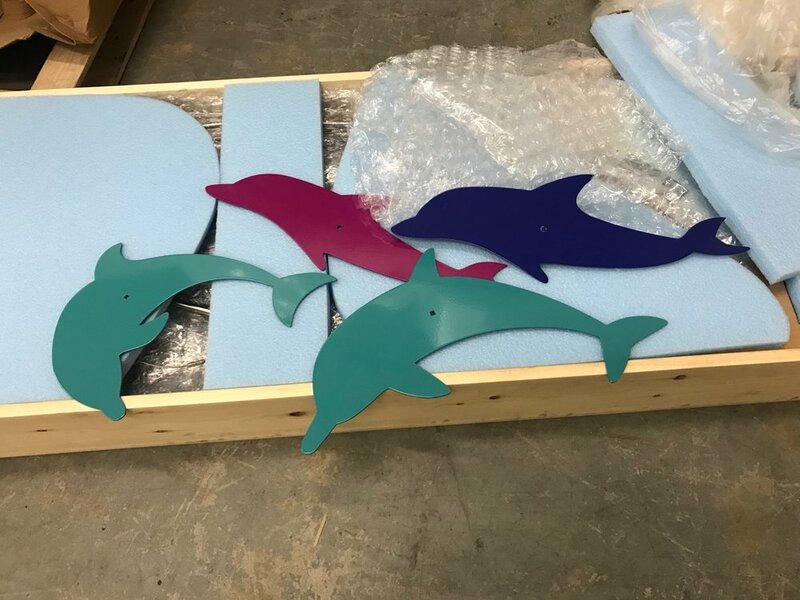 We’ve been eagerly awaiting these dolphin shapes, which have been at the laser cutter and powder coater. We love how vibrant the colors turned out. And now they’re headed to Florida! Read our blog for our latest updates and adventures in mobile making!